Indian cricketer Yuvraj Singh has less than three days to go until his cancer treatment is officially complete. Singh, whose health started to deteriorate during the World Cup in 2011, played a huge role in helping India win the prestigious title. 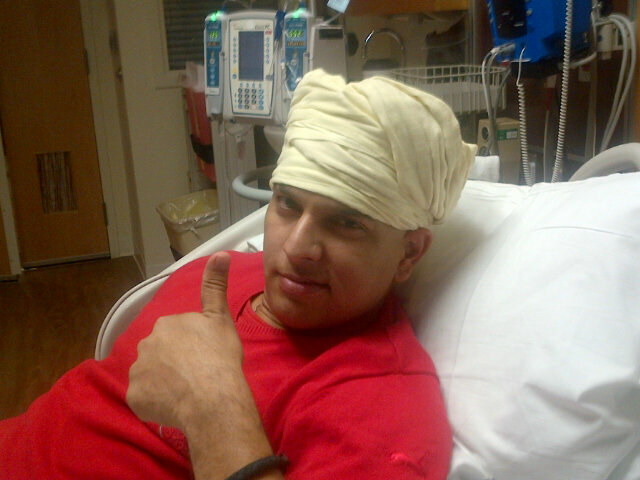 Singh, posted on his Twitter account that he was glad to be close to the end of his treatment. “My last stretch 4 mor dys to go Can’t wait fr it to end Set me free dear lord” he said on the 13th of March. He is currently undergoing chemotherapy in the United States for a rare form of lung cancer, known as seminoma. However, according to doctors, this form of cancer is curable. Yuvraj was given some comforting words by Lance Armstrong earlier in his treatment. Armstrong, was treated for testicular cancer and now runs a foundation for cancer survivors. With his treatment almost at an end, Yuvraj will be looking to get back in form as soon as possible, so that he can continue playing and representing India. This entry was posted in Uncategorized and tagged cancer, ending, India, Lance Armstrong, seminoma, World Cup, Yuvraj Singh. Bookmark the permalink.